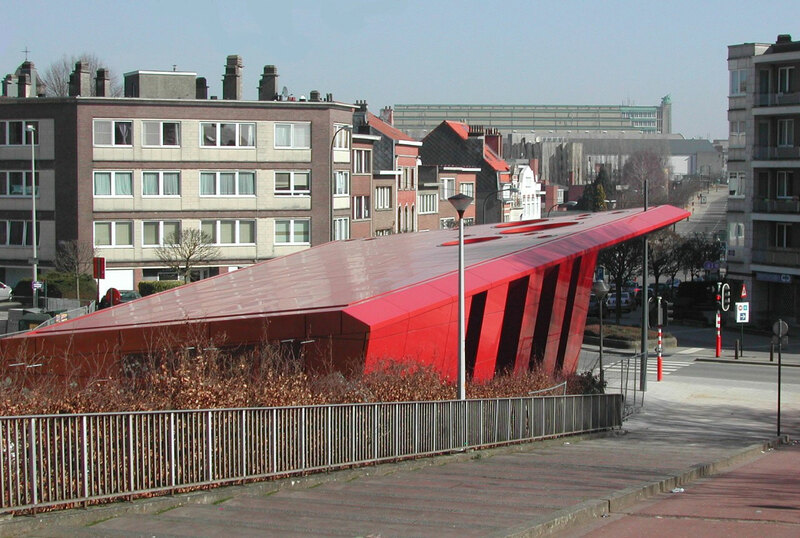 Situated between the Mini-Europe Park and the royal city of Laeken sits the contemporary access to the King Baudouin metro station. The Brussels Intercommunal Transport Company, known in English as STIB-MIVB, commissioned the architects of GS3 Associés for the design. 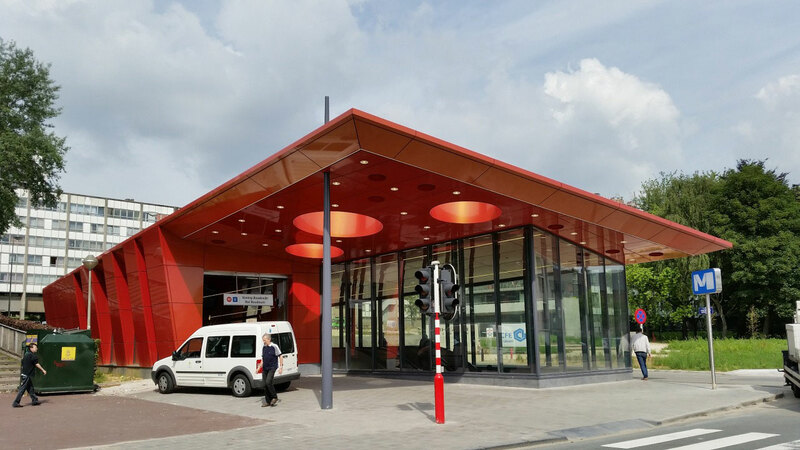 The architects were required to construct a building that could house the control and access facilities within the strict guidelines of the Brussels metro. Unlike the surrounding architecture, the volume is ultra-modern enveloped in a color-changing Alucobond aluminum composite skin. Serving as both the entrance and exit to the metro station, the building attracts passersby with its iridescent façade. 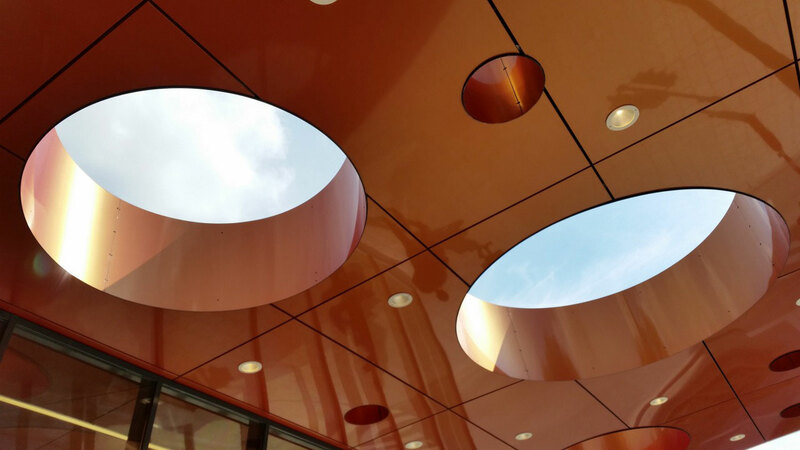 The Alucobond A2 Spectra Cupral finish chosen creates a moveable design as the finish reflects and refracts natural light, offering a unique color at each angle. 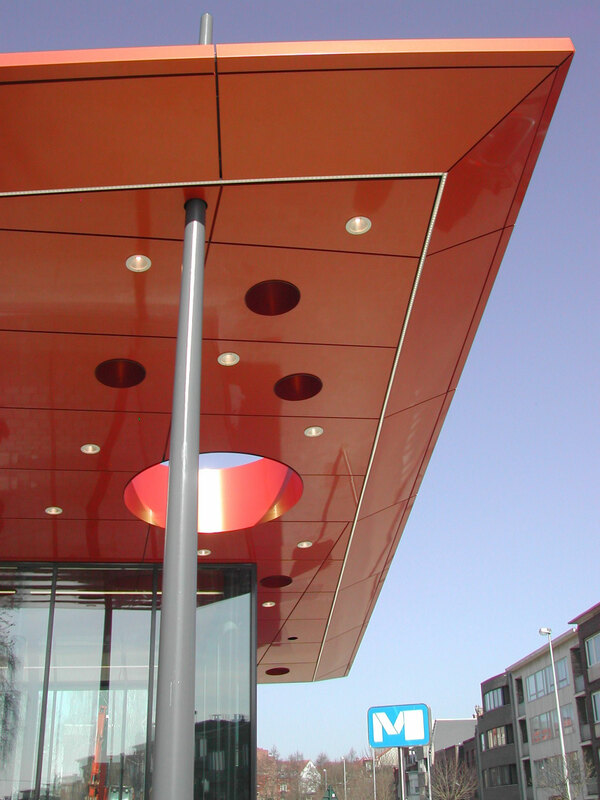 Varying from shades of reds to orange, this versatile finish offers a unique playfulness. 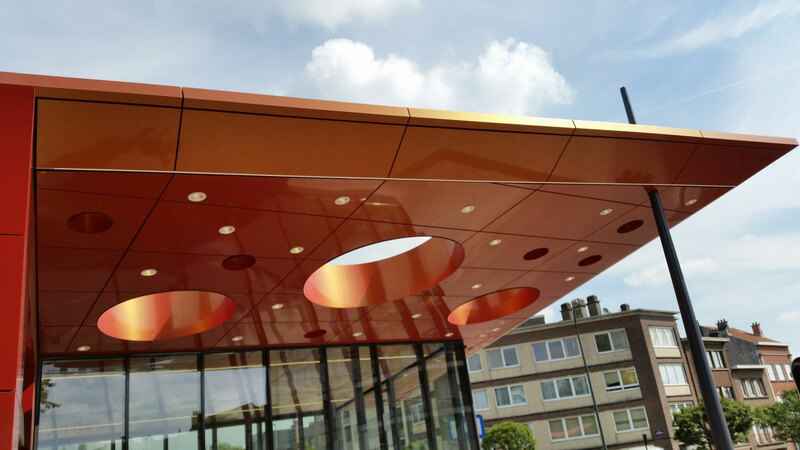 The architects chose Alucobond for the façade as the material was best suited to render their perspective in 3D. These aluminum composite panels are renowned for their rigidity and ease of maintenance. Additionally, the material has shown high durability against vandalism and heavy traffic, offering a long-lasting façade.